Next weekend, is the 1st of many trips that we will embark on this summer. We love traveling, revisiting special places, & exploring the world around us. But in order for my large family (there is 7 of us….2 adults, 2 teens, 1 preteen, & 2 elementary school kids) we need to cut cost wherever and whenever possible. That’s where my creativity, baking & cooking skills, & my frugalness comes in handy. Here are 8 tips to help you cut some cost during your next trip. As some of your already know, I am a list gal. I have numerous things in numerous spots around my house. It’s just the way I am. With that being said, it is a huge benefit for me to be like this, because I am always ready for our adventures as long as I wrote it down. A month ahead of time, I write out our trip list, with everything we eat, use, need etc. Once you have your list, look it over and start deleting the unnecessary. You don’t need 10 pairs of pants for a week away. Instead adopt a minimalist attitude and bring only the bare minimum. But make sure you bring everything that consist of so you don’t need to buy things during your trip. Otherwise, you will end up spending more. If need be, go over your list a few times during the month, that way the week before your trip, you aren’t doing everything at once, rushing through it. For our trips, I always try to make yummy but super simple meals. But keeping it simple doesn’t mean you can’t go healthy because you can. I make sure each meal & snacks consist of 5 ingredients or less, that way the prep & cooking time is very short. Food is something I try to make as simple as possible. I make as much food ahead of time as I can from potato & pasta salad to foil dinners already in foil ready to go, doing a little work beforehand, makes for a much more enjoyable trip. With this in mind, prep as much food as you can before you leave. Get most of your cutting, portioning, slicing etc done, so it’s one less thing to do. This tip is also including non food items that we use like firestarters. Whatever you can make yourself, do it because every dime you save counts. This is for the ride there are well as when the kids have some down time. Bringing a special bag packed by them with their special toys, books, art stuff etc helps keep them from getting the “I’m bored” bug. This is something new I did last year and it was such a big help. Bring as little clothing as you can because it does add it up and take a lot of space, especially for us having 7 people. If we are going for a week, they bring 4-5 days worth of clothes. Before doing this we brought a lot of clothes but only really used a few days worth, the rest was just a waste of space. I line dry wherever we go, so that helps to extend the clothing life, which allows us to reuse pants or shirts that haven’t been soiled. But my kids do bring a few bathing suits each, since my kids live in them during the summer months. Wherever we go, I research the area during our visit for special events, places, or things to see and visit while we are there. Usually, these things are free, which helps keep the cost of our trips down. We don’t mind spending a few dollars, but that’s it. For example, next week we are leaving for Sebago lake in Maine, and the place we are going has so many free activities for the entire family to do, we won’t spend much there. They have this cool water hayride where the kids soak others at the place along this path. As well as numerous other things like a mud bog boogie, cool magic show, reptile show etc. I love sharing our hobbies with each other, which is something we all do during our trips. My husband loves fishing and kayaking so he taught our kids how to fish and they go with him. I take the kids kayaking as well as going on photo walks, which my kids enjoy as much as I do. It’s fun sharing something we love with the people we love, while making memories together. Keeping it simple is the best motto to have during trips, since your time is best used for exploring & making memories. 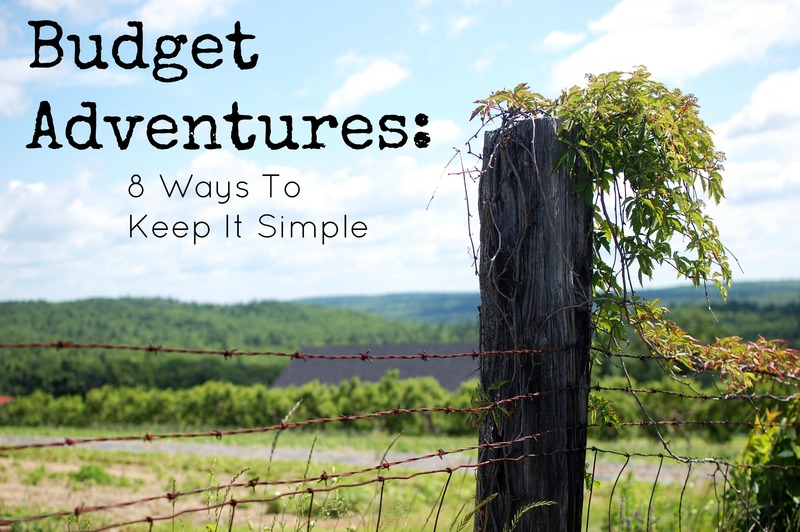 What are some other ways can cut costs during your trips? Have other tips or ideas that you find useful? Please share with us all. Bringing along food from home can cut down expenses so much. It’s hard to believe how much it can save. My mom always packed lunches for all of our trips. It always allowed us to go on some extra outings because of the money that wasn’t spent at restaurants.